Happy Birthday to the Fam! My family celebrated my mother and my niece’s birthdays this past weekend. 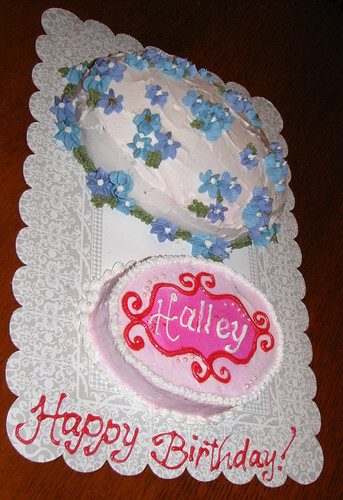 I made them both a cake–almond for Mom and chocolate for Halley. I made the mistake of placing them both on the same board and trying to decorate from there. Slightly awkward. And I technically haven’t “learned” the flowers/leaves yet. I was having trouble getting the leaves to point.